How Much Do You Need to Spend and How Much Will You Make? Yes “it costs money to make money” but how much money can your business produce, what is your return on investment for every dollar spent in customer acquisition, and how do costs change as your business operations grow? Financial Operations Planning forms the foundation for everything that any business needs, wants, or hopes to achieve. When clients cannot identify or determine a budget for what they want to achieve or do not produce profitable results from the money they spend, we often dig back to the foundation of Financial Operations Planning to start addressing the core of these challenges. An effective Financial Operations Model reflects business strategy in numerical form and functions like a Management Information System that enables evidence-based decisions and scenario testing of assumptions to guide business growth. Learn more about how Atomic Revenue builds Financial Operations Models. There are four factors to pricing strategy, yet most companies fail to apply all four thereby reducing profit margins, compromising competitive differentiation, and/or reducing sales conversion with their buying audience. 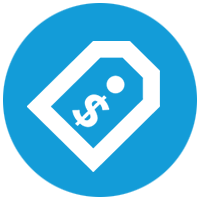 Pricing is both an art and a science, learn more about how Atomic Revenue does pricing strategy. Base plus variable compensation structures for sales and business development teams play a huge role in sales performance management. The right compensation plan helps to recruit, retain, and motivate top sales talent while preserving profit margins. Learn more about how Atomic Revenue does Sales Compensation Plans. Financial Operations Models, Business Plans, Pitch Presentations, Data Rooms, and Negotiation Training will be necessary to compete for seed capital, pursue equity investment rounds, court the private equity market, or seek bank financing. Learn more about how Atomic Revenue prepares management teams for better investment outcomes.